We clean the dryer duct from the dryer to the outside of the house with air blowers and whips (we don't use brushes) while our air vacuum machine collects all debris. Lint and debris can build up in the clothes dryer vent blocking air flow and creating potentially hazardous conditions. The U.S. Fire Administration, National Fire Data Center reports that there are over 12,700 home fires per year associated with clothes dryer fires resulting in 15 deaths and 300 injuries, and 88 million dollars in property loss. We specialize in providing professional staff and high quality service for all your needs. Our number one goal is customer satisfaction. At C&C we only use the best products and state of the art equipment and techniques. All of our service professionals are respectful, reliable, and possess years of experience. We schedule all services in advance and call the day before your cleaning to remind you of your appointment. 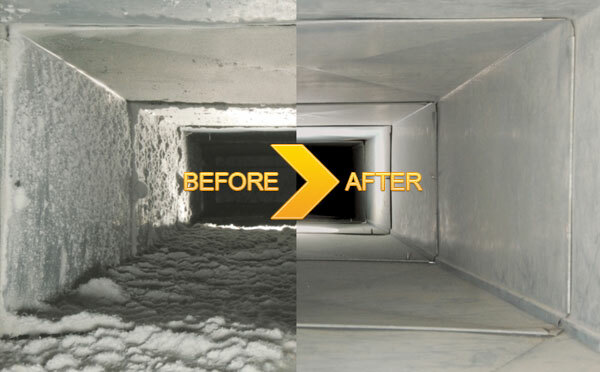 All our professionals are uniformed and arrive on time for your appointment, our professionals will do a walk around before and after the service is performed to ensure our customers that everything works fine before we leave the house, will performed a FREE a/c furnace inspection, will communicate on a clear manner before services begin to prevent surprises. Our well-trained technicians represent our full and unconditional commitment to providing you with the most efficient services possible to your standards.